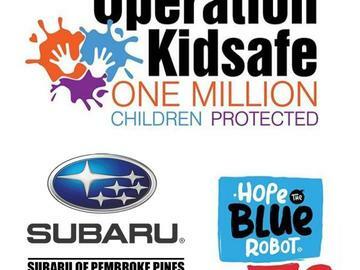 Subaru of Pembroke Pines, Florida´s #1 Volume Subaru Store* has partnered with Joe DiMaggio Children's Hospital to host Operation Kidsafe; a FREE event focused on safety education. The focus of this event is education, fun and digital fingerprinting. The digital fingerprinting system is a specialized scanner and printer. There's no storage of data or images which leaves you as the sole owner of a valuable document to help protect your child.